Host your next event with us at The Mason Jar! We are here to help you make your event a memorable one. 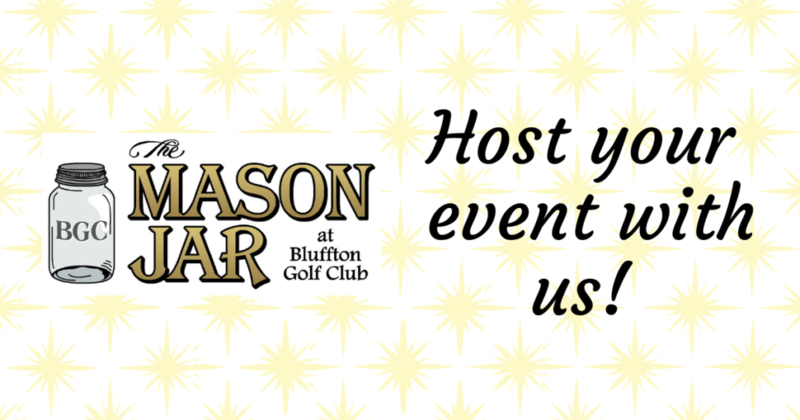 The Mason Jar at Bluffton Golf Club can handle all kinds of events. We are now scheduling events for this year and year 2020.
https://www.hiddencreekgolfclub.net/wp-content/uploads/2019/01/2-1.png 630 1200 Teesnap Developer https://www.hiddencreekgolfclub.net/wp-content/uploads/2017/01/logo-1030x600.png Teesnap Developer2019-01-23 12:03:482019-01-23 12:03:48Host your next event with us at The Mason Jar!